Oh, yeah! That's what I'm talking about! It's like a Segway, except you get to keep your dignity. The Luftshiff Hasselhoff pictured mere minutes before Irish terrorists crashed it into London's Tower Bridge in 2001. Never forget. 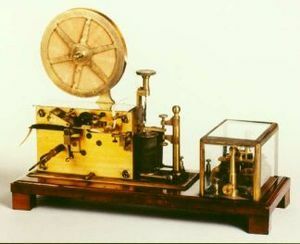 Old Tech is sweeping the fields of computing, telecommunications, transport and entertainment. This area really marked the resurgence of Old Tech, with millions of frustrated computer users dumping their flimsy, constantly crashing computers with shiny new Babbage engines and ENIAC machines. 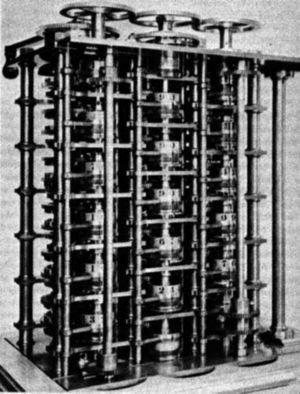 Obviously, these devices have difficulty connecting to the Internet, so mechanical computer users have created the Monkeynet, a means of moving punch cards across great distances by means of strings and pulleys operated by monkeys. This system has been criticised as inefficient, but only by people who don't realise just how much monkeys rock. On the negative side, a new form of morse code has been developed that allows sheet music to be transmitted. This code, known as Morse-Plus # Three or MP3, has been used by rogues and scallywags wishing to distribute sheet music illicitly, thus depriving the wax cylinder industry of hard earned profits. The rising cost of making films that were increasingly oriented towards special effects led to the re-emergence of silent monochrome film. Instead of paying about a week's pay to see ninety minutes of crap starring Vin Diesel, Ben Stiller and Jennifer Lopez, you can pay 10 cents to see ten minutes of crap with Rudolf Valentino, Ben Turpin and Clara Bow. A clear improvement. The biggest winner in the Old Tech revolution has been transport. 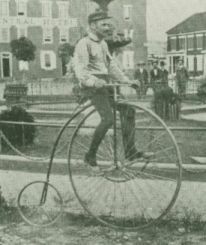 As steam railways take over from the private car, you can ride your velocipede upon the thoroughfare without having to jostle for space with the SUVs and pimpmobiles. 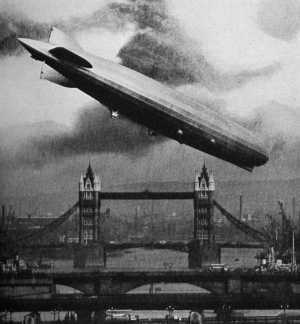 Air travel has also been improved by the reintroduction of the Zeppelin. Travelling at a slower pace than jet aircraft, the zeppelin's luxurious pace takes all of the tension and frustration out of air travel. Also, there's a piano in the ballroom. And if you find yourself seated next to a squealing child, just inform the kindly brown-shirted flight attendants; they'll be happy to oblige you by punching said child in the throat. The Old Tech Revolution has been a godsend, saving civilization from the tiny, bleeping plastic things that plagued it and replacing them with wonderful, solid items of cast iron and bakelite. Truly, we live in a golden age! Now, get back to the workhouse, break time's over. This page was last edited on 27 October 2014, at 21:36.